We spotted a hot new coupon for Biore cleansers! Save $5 off when you purchase Biore Baking Soda Cleansing Scrub with the Smartsource coupon below! This is a print coupon. Limit 2 prints per computer. 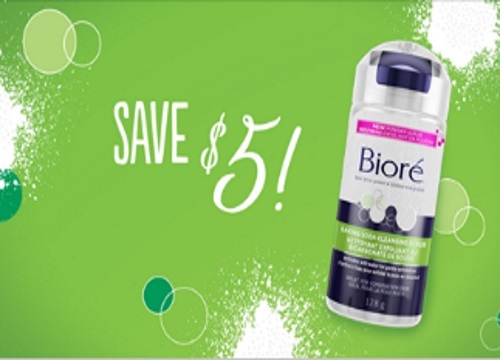 I noticed that Biore facial cleaners are on sale at Shoppers Drug Mart this week for $7.99 (not sure if this product is included since it's select types). Plus, Checkout 51 has a $5 rebate on this product (until June 22), so combined with that you can get this item for free!